Kids grow, and they grow quickly, and that's why our Kid 2 Kid Closet is great! 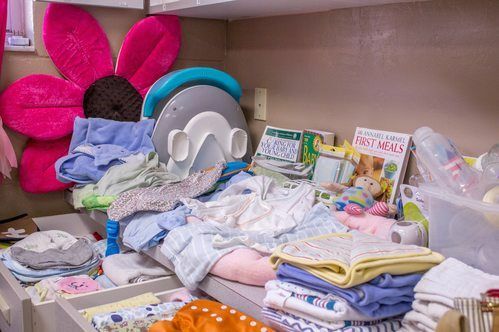 The Closet benefits individual families in our church and community, but is also a great resource for area schools, local pregnancy centers and foster families. We offer gently used children's clothing, baby items, toys and books. You can come each month to get a bag of clothing and large item for free! Donations are accepted in the church office on Sundays and during office hours. Sometimes things happen and we need a little help. 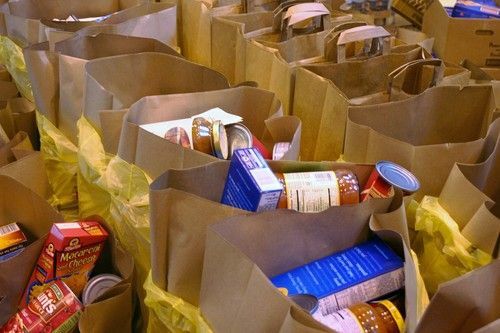 At The Family Church, we have our very own Food Pantry serving the needs of our church and our community. In this ministry, whether it's partnering with a local school or with other churches to help provide food for the hungry or filling orders for those who reach out to us with emergency needs, we want to use it as a way to show the love of Christ. Jesus commissioned us to go! Here at The Family Church, whether it's on a mission trip half way around the world or personally reaching out to our local community with the Come & Go team on a Saturday afternoon, we exist to help all people discover family in Christ by sharing the life-saving, life-giving gospel message.